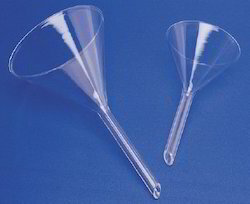 Being a quality oriented organization, we are involved in providing a supreme quality range of Glass Funnel. Glass vacuum filter holder with sintered filtered glass support & clamp. Glass Agencies EROSE are manufacturer of Kipp's Apparatus Glass. 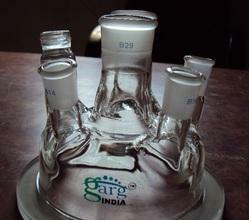 We are an eminent firm occupied in manufacturing precisely designed Glass Funnel. Type of Glassware: test tubes, petri dish, bikker, etc. We are highly appreciated for offering our clients with the best Glass Burette. Fabricated by making use of quality-tested required basic material, these offered products are highly appreciated for their longer service life and resistance against resistance. To meet divergent demands of the clients, we have made the offered products available in different sizes and capacities. Glass Dropper With Amber Color Printing . Flasks Round Bottom, Three neck, side necks at Parallel. Nsil Lab Glass Works Pvt. Ltd.